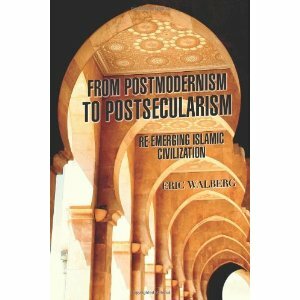 Your central point of course is that we are witnessing the genesis of a re-emerging Islamic Civilization. I am not sure. While Judaism has been usurped by Zionism and Christianity has succumbed to secularism as you opine, Muslim societies, it seems to me, more than others, are trapped in the politics of identity. In their reaction to Western hegemony, on the one hand, and domestic autocracies, on the other, they are articulating notions of state and society which reveal clearly that they have yet to resolve the question of what it is to be a Muslim, what it is to abide by one’s faith, in the 21st century. The politics of identity which in a sense exposes the similarities and the dissimilarities between Al-Qaeda and Ikhwan-ul-Muslimin (Muslim Brotherhood) could well hobble Muslim attempts to create a viable civilization. If I may say this, you may not have given enough attention to this critical aspect of Muslim societies today. Walberg: Many thanks for your thoughtful reflections on my book. I appreciate your concerns that the dogmatism of political Islamists can be a negative factor, a stumbling block to re-emerging Islamic civilization. Your parallels between the identity crises of Judaism-Zionism, Christianity-secularism and Islam with its own identity crisis is arresting. You state, “Muslim societies, it seems to me, more than others, are trapped in the politics of identity.” How true. An excellent topic for a conference! One of my purposes in writing my new book was to try to bridge the Islamic-secular, East-West divide which continues to cripple the popular movement to counter imperialism. The tragedy of Afghanistan and today Syria drives this home.